I have decided to participate more fully in my coaching challenge this month, so I will be sharing my process with you. So here we go. I feel like my healthy habits have really fallen apart the last few weeks. And I feel pretty hypocritical, since I'm coaching others to meet their goals. But it is all part of the process of change, isn't it? So there you go. My skeleton goals for January. I'll tell you more about them over the next week or so. I'm really really excited to have a plan. I feel like so much of my struggle lately has been my lack of a plan or uncontrolled deviation from what had become routine. 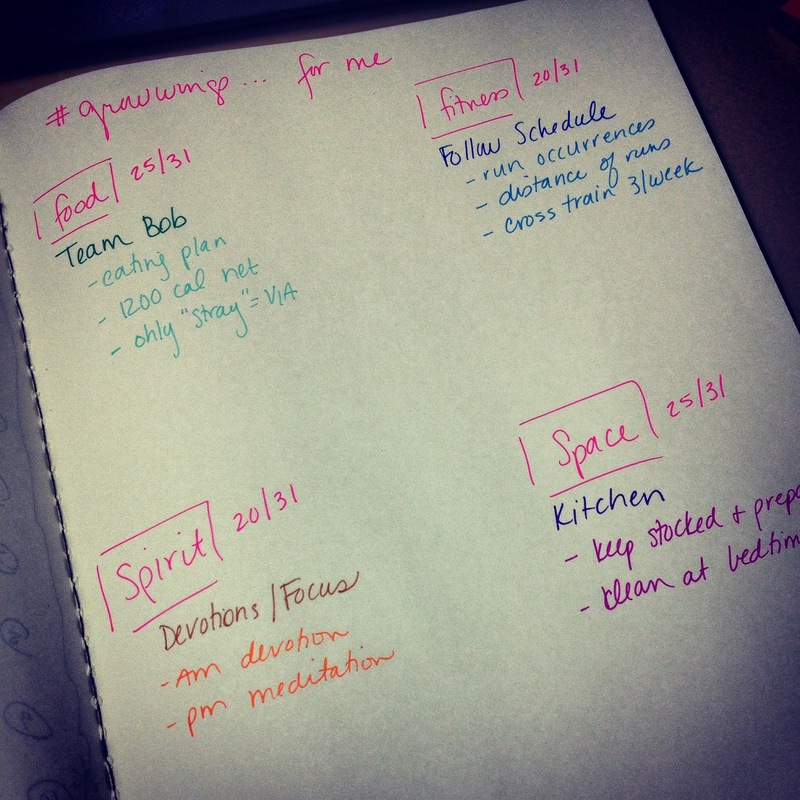 The Grow Wings challenge doesn't start until January 1, but I'm planning a soft challenge of sorts for myself. I'm not waiting until January 1. It'll start as soon as I get home and then I may refine my goals for the actual challenge. If you want details on how to join us, click over to my coaching website.